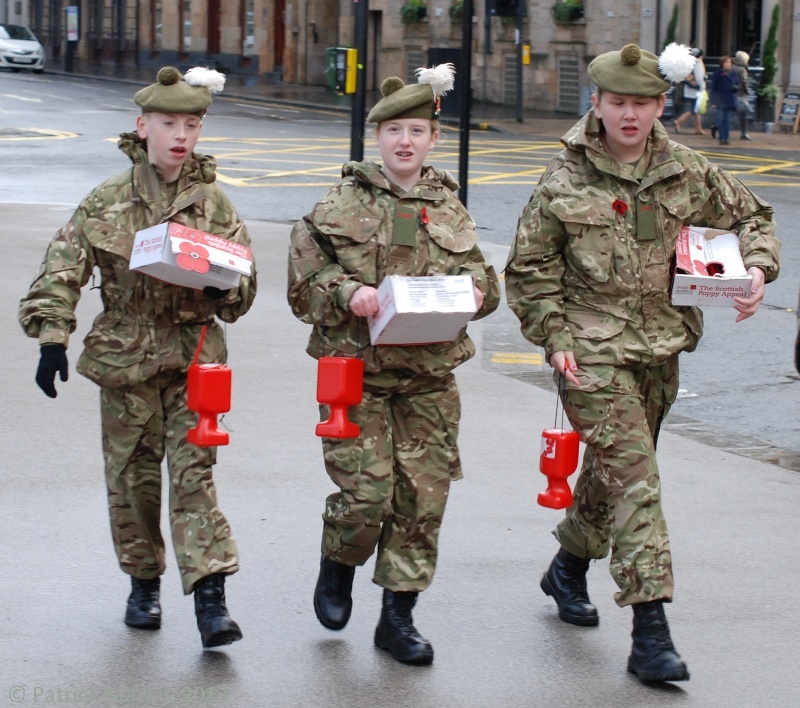 Yesterday (Saturday) you couldn’t move in the city centre for cadets on every corner – almost at every lamppost – selling poppies. They were sent out in platoons from the Council Chambers in George Square, which is where I encountered these three youngsters. I wonder if they know that the only reason to keep the charitable poppy appeal going is that the state cynically doesn’t spend enough money to look after its own veterans and the families of dead and injured servicemen, whilst rolling out the full panoply of state religion and the Crown in Parliament to support the public appeal? This entry was tagged Glasgow, remembrance, street photography. Bookmark the permalink.